The First Foundation is to believe in the existence of G-d, the Creator, blessed be He. The Second Foundation is the unity of G-d, Blessed be His Name. The Third Foundation is that G-d is not physical. The Fourth Foundation is that G-d is the absolute first. The Fifth Foundation is that it is proper to serve G-d, blessed be He, to ascribe to Him greatness, to make known His greatness, and to fulfill His commandments – as they apply to each person. The Sixth Foundation is prophecy from G-d. The Seventh Foundation is the uniquely distinguished prophecy of Moses our teacher, may he rest in peace. The Eighth Foundation is that the Torah of Moses is entirely from the word of the Al-mighty. The Ninth Foundation is the transcription, meaning that this Torah of Moses, and no other, was transcribed by Moses from G-d, the Creator, and we may not add to it or remove from it – not in the Written Torah or in the Oral Torah – as it says, “…you shall not add to it, nor diminish from it” (Deuteronomy 13:1). The Tenth Foundation is that G-d, blessed be He, knows the actions of mankind and does not turn His attention from them. 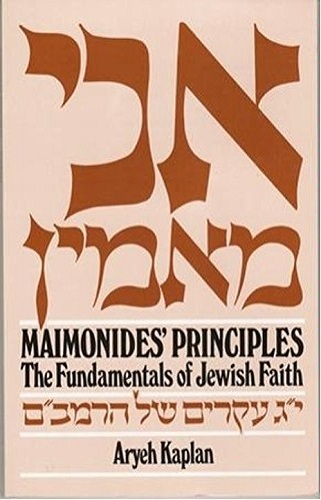 The Eleventh Foundation is that G-d, blessed be He, gives reward to a person who obeys the commandments of the Torah [i.e., the particular commandments which are commanded or obligatory for that particular person] and punishes a person who violates its prohibitions [but does not repent – i.e., for the particular prohibitions which are prohibited or not proper for that particular person]. The Twelfth Foundation is the time that will begin with the coming of the Messiah (Moshiach – literally, the anointed [king]). The Thirteenth Foundation is that there will be the resurrection of the righteous people who have died.